This is our most comprehensive and effective human growth hormone product. 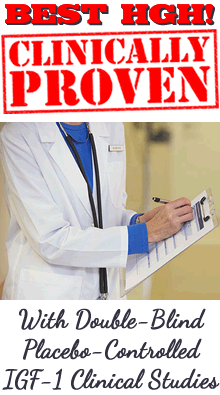 Contains our #1 rated clinically tested formula. Provides all the benefits of our original product below and more! Contains HGH, IGF-1, deer antler velvet, pituitary extract, and liver extract in a safe homeopathic formulation. Deer antler velvet is the best natural source of growth factors including IGF-1 and IGF-2, as well as skin, bone, and healing growth factors. This product is for those ladies wanting the best benefits and in the shortest period of time. This is our original product. Its formula was one of the first homeopathic formulas used successfully by doctor's in anti-aging clinics back in the late 1990's. Contains homeopathic growth hormone, pituitary extract, and liver extract in our clinically proven formula. Designed to help the body to increase and balance HGH to each person's optimum level and help to provide relief of the symptoms of aging. No competitor products can beat this time-tested formulation. The adrenal glands release cortisol, which helps to protect the body from stress. They also play an important role in stabilizing blood sugar, fluid and electrolytes, blood pressure, and their proper functioning is required for thyroid function, a strong immune system and more. This homeopathic product is designed to safely support tired adrenal glands and help the body to balance the output of adrenal hormones. 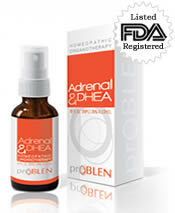 DHEA, often called the "mother of all hormones" is made by the adrenal glands. Unfortunately, it decreases with age. This product is formulated to also help the body to balance DHEA. This product contains thyroid glandular extract and other ingredients in a safe homeopathic formulation. It is specially designed to help the body address the symptoms of a sluggish thyroid gland by improving and balancing the thyroid gland's release and use of hormones. This product is not a HRT (hormone replacement therapy) and contains no synthetic hormones. It works naturally with the body to help restore thyroid function safely. When your body builds new cells you want them to be like the perfect cells your body used to make. However, if your DNA is damaged then this cannot happen because DNA is the blueprint the body uses to make new cells. This product contains DNA and RNA in a safe and effective homeopathic formulation. It is specially designed to help the body to repair and restore the DNA structure that has become damaged with age, exposure to toxins, etc. It is also formulated to help the body improve and balance RNA, the body's messengers. This product is specifically designed to increase sexual desire and improve sexual function by helping the body to improve and balance the hormones that affect libido. Libido provides a safe and effective natural remedy for relief of decreased sexual vitality in both women and men. 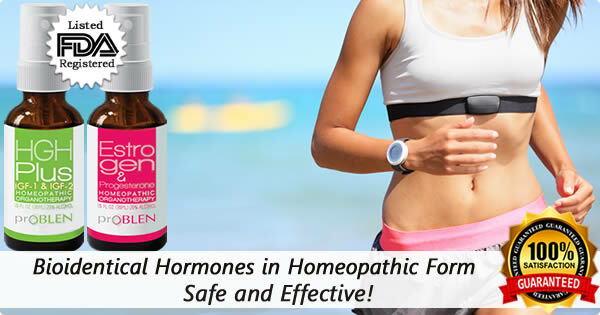 Contains a safe homeopathic formulation of bioidentical testosterone and other ingredients which work with the body. ProBLEN Products and Combo Packs for Women! We are happy to offer custom Female Anti-Aging Combos. You may customize your Combo Pack to contain 2 or more of our various ProBLEN products. All are made to work together to provide optimum anti-aging and health benefits for women. Choose individual products or make your own women's combo package by visiting our online store, click below!